I am honored (and honestly quite giddy!) to have been interviewed by coach and thought-partner extraordinaire, Jac McNeil, about why it's important for helping and healing professionals to stay in their integrity by walking their talk when it comes to self-care. I hired the heartful and whipsmart Jac last year to help me with the nuts and bolts of manifesting the vision I had for creating an engaging, soulful, online experience for healing arts practitioners worldwide to revive their self-care practices in order to prevent the occupational hazards they report most often: burnout, compassion fatigue, vicarious trauma, isolation, and insecurity. As a therapist who specializes in working with other therapists and helping professionals, I know all too well how difficult it can be to develop and maintain our own self-care rituals. My answer for this dilemma is the concept of micro-self-care, a method I guide my fellow helpers and healers through implementing in the SoulSpace Series. What do you mean by "micro-self-care"? In your experience, what micro-self-care techniques tend to have the most impact/value for healers? Why do you think most of us avoid/ignore micro-self care? What’s your favorite micro-self care technique and why? Hop on over to the interview to read what I had to say on the topic, and enter on her web site for a chance to win a free spot in the upcoming SoulSpace Series, which kicks off on February 8th. Jac will choose the giveaway winner this Wednesday, February 3rd. Good luck! All summer, I've been deeply engrossed in the creative process of incubating and manifesting a long-time dream of mine, and I'm so stoked to finally be able to share it with you all! 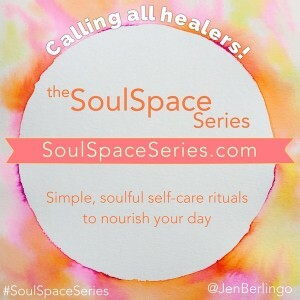 I'm super-excited to introduce you to the SoulSpace Series. (Really, I just clapped, here alone at my desk.) 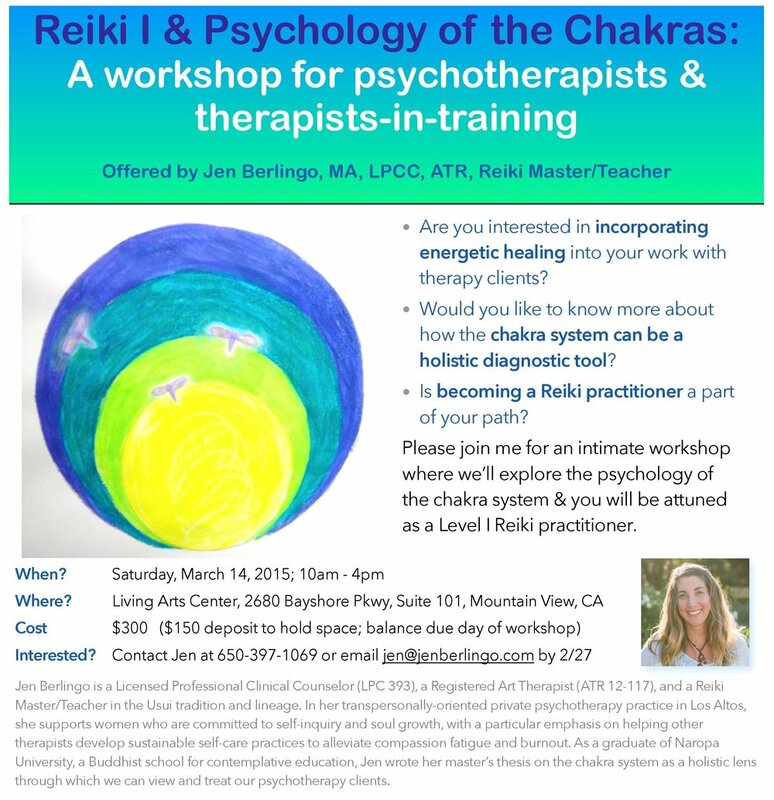 It's common knowledge that the relationship between the therapist and the client is the most beneficial and effective aspect of healing work. Way more-so than any techniques, tools, theories, training, tips, and tricks. So, as helping professionals, it is imperative (even ethically so) that we lovingly care for our most valuable tool -- OURSELVES! (Um, not selfish in the least.) If we enter into our healing work while suffering from burn out, compassion fatigue, vicarious trauma, lack of inspiration, lack of confidence/trust in ourselves -- then no one benefits. I want you to be the most clear, present, attuned, connected, and inspired healing practitioner you can possibly be -- the world needs more of that. And this, in a nutshell, is why I created SoulSpace. SoulSpace invites you into a deeply soulful and contemplative space that is also refreshingly playful, permissive, creative, and light. Over the course of the, 6-week, online program, you'll master simple, self-care rituals that nourish your practice and your day, walking away with concrete practices you can dip into in even the smallest moments you have between clients. 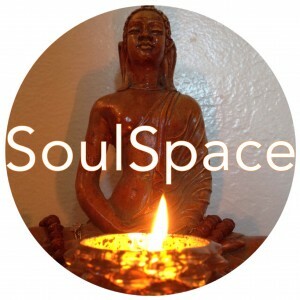 Whether you're a student training to become a psychotherapist, coach, or bodyworker -- or if you've been in practice for years in a setting where you're supporting clients emotionally/spiritually throughout your day -- I created SoulSpace for YOU. Click here to more about SoulSpace, cozy up in your favorite blanket, grab a cuppa pumpkin-something, join a tribe of fellow healing arts practitioners this autumn. Oh, and I'm giving away one free enrollment this week, only on Instagram! Hop on over to follow me and enter! (The winner will be chosen on Monday, September 21, 2015.) Giveaway has ended and SoulSpace is underway for the Autumn 2015 session. I'll offer it again after the new year, so stay tuned to my e-newsletter to find out when the doors open for enrollment.